The most magical and exciting night of the year for many in Spain is almost here, with the imminent arrival of the Three Kings on 5 January, when they will deliver presents to sleeping children across the country. Celebrating the feast of the Epiphany, when three wise men visited the new-born Jesus bearing gifts, this auspicious occasion is marked in Spanish cities, towns and neighbourhoods with parades (Cabalgata de Reyes) featuring not only Balthasar, Melchior and Caspar but also numerous dancers, musicians and decorated floats with a range of performers. 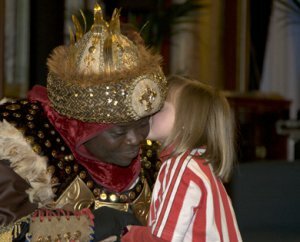 It’s also the last chance for children to deliver their letters to the Royal Pages with their present requests. On Kings’ Day itself, 6 January, once all the gifts have been unwrapped, families enjoy a special ring cake decorated with glacé fruit. Inside each cake is hidden a small king and a bean – find the king and you get to wear the accompanying paper crown for the day; but if the bean is in your slice, then it’s up to you to pay for the cake! 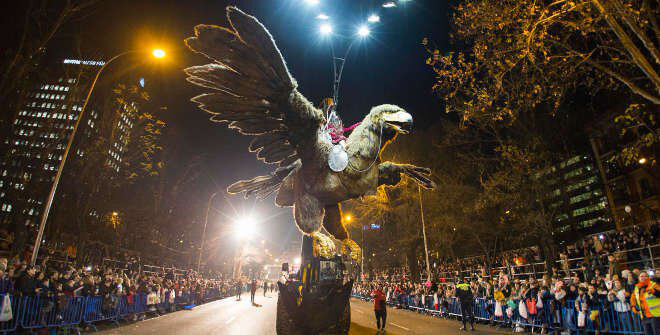 MADRID: the capital’s main Kings’ parade this year focuses on the arts and their importance for us both as individuals and collectively as a society. Different national and international artistic associations take part, while an outdoor stage at the end of the route features performances by the Petit Pop band and the Madrid Child and Youth Choir. The Kings themselves will appear on magical floats made from the wishes of Madrileños, which have been display for the past few weeks in the city’s Palacio de Cristal. BARCELONA: in Barcelona, the Kings make the most of its seafront location for an impressive arrival by boat around 4pm at Moll de la Fusta onboard the Santa Eulàlia schooner (which this year has been celebrating its centenary). When they get on to dry land, they’re met by the mayor who gives them the key to the city so that they can get into local homes to deliver their gifts. The parade itself includes Senyor Hivern (Mister Winter), live music, and lots of sweets thrown to those watching. Children across Spain excitedly await the arrival of Balthasar, Melchior and Caspar. BILBAO: the centre of the Basque city also welcomes Balthasar, Melchior and Caspar on 5 January with a parade that includes all the traditional features such as the Royal Pages and local performers of theatre and dance, colourful floats, and sweets for the crowds. At the end of their journey, the Kings appear on the balcony of City Hall with a message of peace, hope and good wishes for the year to come.